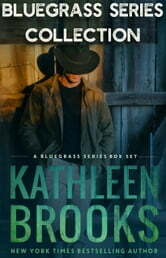 The bestselling Bluegrass Series is now a boxset! Find out why so many readers have fallen in love with this Southern romantic suspense series set in Keeneston, Kentucky. This bundle includes three full-length novels: Bluegrass State of Mind, Risky Shot, and Dead Heat (total of 215,000 words). Each book also sold as a separate single novel. Danielle De Luca, an ex-beauty queen who is not at all what she seems, leaves the streets of New York after tracking the criminals out to destroy her. She travels to Keeneston, Kentucky to make her final stand by the side of her best friend, McKenna Mason. While in Keeneston, Danielle meets the quiet and mysterious Mohtadi Ali Rahman, a modern day Prince. Can Mo protect Dani from the group of powerful men in New York? Or will Dani save the Prince from his rigid, loveless destiny? In the third book of the Bluegrass Series, Paige Davies finds her world turned upside down as she becomes involved in her best friends' nightmare. The strong-willed Paige doesn't know which is worse: someone trying to kill her, or losing her dog to the man she loves to hate. FBI Agent Cole Parker can't decide whether he should strangle or kiss this infuriating woman of his dreams. As he works the case of his career, he finds that love can be tougher than bringing down some of the most powerful men in America.